THE ELDERLY are such a pain, aren't they? Dr. Ezekiel Emanuel thinks so. 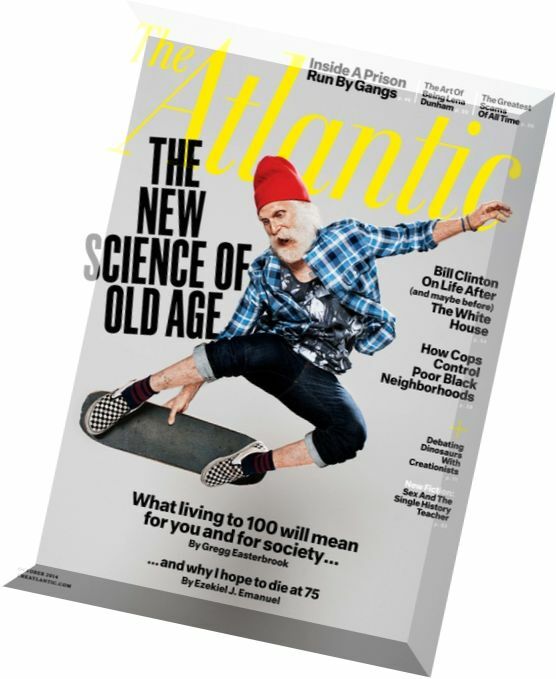 Half of those older than 80 have "functional limitations," the prominent health policy analyst and key ObamaCare architect writes in the October issue of The Atlantic. One in three Americans 85 and up has Alzheimer's. Old people are more likely to be disabled, or at least "faltering and declining." They lose their creative mojo. They don't "contribute to work, society, the world." Instead of being regarded as "vibrant and engaged," they grow "feeble, ineffectual, even pathetic." Especially disagreeable are old parents, who can be so irritating: "They set expectations, render judgments, impose their opinions, interfere, and are generally a looming presence for even adult children," Emanuel complains. By living too long, parents blow their chance to impart "the right memories" to their kids. Nothing could be worse, he insists, than being remembered not as we were in our prime, but as old and decrepit — "stooped and sluggish, forgetful and repetitive, constantly asking, 'What did she say?'" To leave behind memories of our frailty "is the ultimate tragedy." And that, declares Emanuel, is "Why I Hope to Die at 75." In his 5,000-word Atlantic essay, Emanuel — who heads the Department of Medical Ethics & Health Policy at the University of Pennsylvania, and has an appointment at National Institutes of Health— announces that once he reaches 75, he will decline nearly all medical treatment. No more flu shots, no colonoscopies or other screenings, no pacemakers or surgery. "If I develop cancer, I will refuse treatment," he writes. He won't even take antibiotics to cure pneumonia or an infection, preferring instead to be carried off by the "quick and relatively painless" death untreated infection usually leads to. Debate over the health resources consumed by America's elderly have been ongoing for decades. As a candidate for Massachusetts governor in 1990, Boston University's John Silber famously generated sparks when he replied to a question about the surging costs of medical care for the elderly by asserting: "When you've had a long life and you're ripe, then it's time to go." President Obama has suggested the same thing, albeit far more tactfully. In 2009 he cited his grandmother's hip-replacement surgery during her final illness, publicly questioning whether such costly procedures for the terminally ill are a "sustainable model" for health care. Over the years Emanuel has energetically weighed in on these issues, but that's not the focus of his Atlantic essay. His argument is not about dollars and cents, it's about quality of life. Death is a loss, but "living too long is also a loss" — loss of vigor, of autonomy, of productivity, of smarts, of ambition. If we're to take him at his word, he cannot bear the thought of slowing down as he ages. He recoils from the way the old gradually learn to "accommodate [their] physical and mental limitations" — retiring from a profession, taking up hobbies, doing and daring less. "As walking becomes harder and the pain of arthritis limits the fingers' mobility, life comes to center around sitting in the den reading or listening to books on tape and doing crossword puzzles." Emanuel, whose essay is accompanied by a picture of himself and two nephews on Mount Kilimanjaro, would rather die of pneumonia than live like that. He maintains he is "certainly not scorning or dismissing people who want to live on" despite the debilities of old age. But it's hard to take that disclaimer seriously, when the whole point of his essay is that a diminished life isn't worth prolonging. Maybe Emanuel is merely being provocative. He acknowledges that 75 is an arbitrary age to designate as the boundary between a vibrant life and a feeble one. He admits there are "myriad people I know who are over 75 and doing quite well." At the start of his essay, he claims "I am sure of my position" — yet reserves the right, at the very end, to change his mind once he reaches his 75th birthday.He mocks Americans who exercise, do mental puzzles, and consume "various juice and protein concoctions" in their quest to live longer. "Manic desperation," he calls it. "Misguided." "Potentially destructive." That's not scorn? Emanuel is 57 now, which gives him 18 years to reconsider his death wish, and to learn, perhaps, that the declines of advanced age can be a blessing as well as a curse. To be able to accept the pains and impediments of mortality requires a measure of courage and dignity that few of us are blessed with — or can even imagine — in our prime. Emanuel's own father, now 87, has slowed down considerably. His career is over. His son describes him as "sluggish." And yet the old man describes himself as happy. Emanuel may dread the prospect of ending up like his father. But he's still young, and not yet wise.